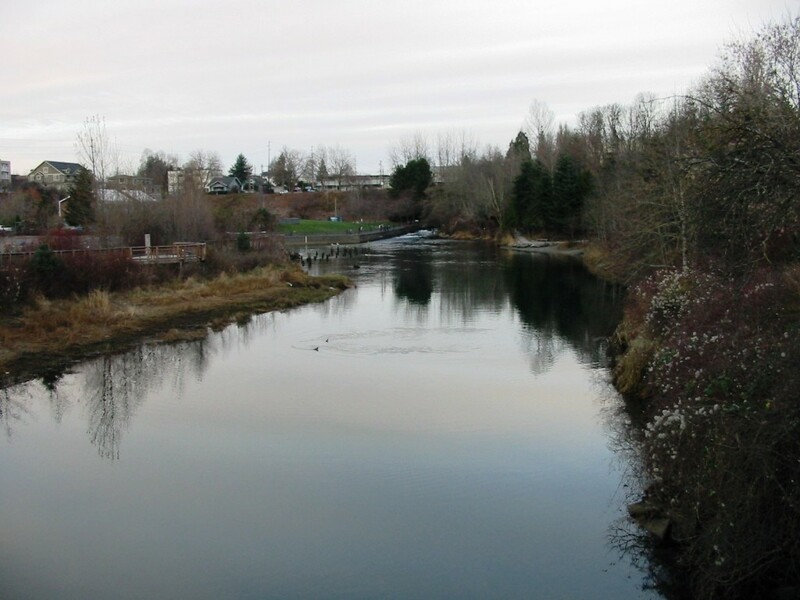 Whatcom creek in Bellingham has been providing Washington anglers with ton’s of great fishing action for years. With runs of Kings, Coho, Steelhead and Chum, your pole is sure to get a workout. Most known for it’s run of Chum and Steelhead, Whatcom creek can also offer up Kings and Coho but they are not as abundant. Beware of the seals! They have been known to raid the fishing line on several occasions. Whatcom Creek June thru Feb for Trout and from August till through December Salmon fishing. This fishery generally allows up to 6 Salmon per day Only 2 adults can be retained, Min size of 12″ in length. First Recommendation for this location is plunking or drifting sand shrimp or eggs. next possibly a steelhead jig, or corky and yarn and lastly spinners.